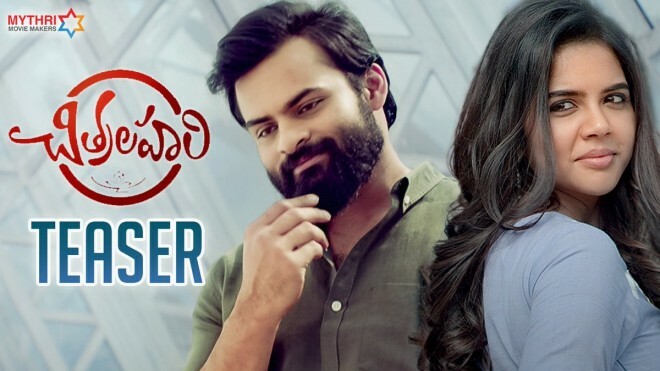 Hyderabad, Mar 13: Starring Mega Supreme hero Sai Dharam Tej in the lead role, the film 'Chitralahari' has been managed by filmmaker 'Nenu Sailaja' fame Kishore Tirumala. The popular production house Maithri Movie Makers which produced successful blockbusters like 'Srimanthudu', 'Janatha Garage' and 'Rangasthalam' has been bankrolling 'Chitralahari' of which Naveen Ernani, Yalamanchili Ravishankar and Chekukuri Mohan are producers. 'Mental Madhilo' fame Nivedha Pethuraj and 'Hello' fame Kalyani Priyadarshan are playing opposite Teju in the film. Sunil and Vennal Kishore too, playing crucial roles to which music is done by Devi Sri Prasad. The film which is slated to release on April 12. With a month-long release, the makers of the movie has begun to promote the film. As part of which the teaser got released and introduced main characters of the film in the span of minutes. The teaser reveals.....Teju is completely looking new with a method of fresh acting scope. However, the attracting title and big production house and the uniquity in managing the entire film may add success to the Mega hero's film after several series of flops.